Convert F4V to AVI, MP4, FLV, WMV, ASF, MKV, MPG, MPEG1, MPEG2, MP3, CD, or DVD with F4VPP! What is the F4V file format? F4V is a new type of FLV file. Compared with the traditional FLV, it owns better quality under the same situations. Thus many people regard this kind of FLV as HD FLV (High Definition FLV). Due to this feature, nowadays most of people think it a development trend for FLV file. Of course, the video-sharing web sites also accept this type of FLV to upload and download, especially YouTube. Please visit http://www.adobe.com/go/fms_tools. Then click Download the tools. Please find the program Adobe F4V Post Processor. Click and download. After downloading, you should decompress it. Then please find the file f4vpp. exe in the sub-directory FV4PostProcessor1.0\adobe\fms\externaltools\windows. Afterwards, copy this file and put it into the same folder as the F4V video which you can't convert. For example, put them in the same directory H:\F4V. Once everything is ready, please open Command window. Click Start, Run, then input "cdm. exe", click OK. You will see the command pop-up window. Now you have to turn to the path H:\F4V. If you don't know how to jump to H:\F4V, you can input H: and press ENTER. Then input "cd F4V" and press ENTER. Now you have come to the desired path. The next step is to execute the following command line "f4vpp -i sample.f4v" and knock ENTER. The conversion process starts. It will generate a new file named sample_f.f4v in the folder H:\F4V. 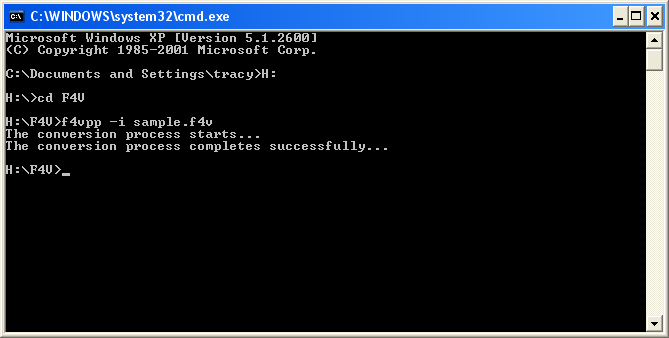 Step 4 : Convert the new generated file. 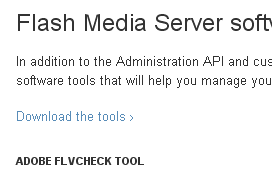 Step 1: Load F4V video file. Download, install and launch Any Video Converter. Click "Add video" button on the toolbar or directly drag the video clips in to drop on the interface. On this interface, you can preview the video by double click on its title to make sure that it is exactly imported or to capture a snapshot for later use. Step 2: Choose DVD output format. You can unfold Output Profile, choose Burning to DVD from the list, and then choose DVD video NTSC Movie or DVD video PAL Movie according to your TV system. Then establish the parameter below including general, output duration, video option, and video option. Select a profile to best suite your DVD-TV system .If you are not clear with the configuration, you can leave it to the default setting. Step 3: Click the “convert” button to begin encoding F4V to MPG. Step 4: Choose DVD menu. 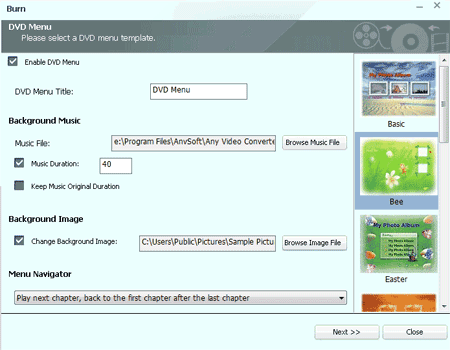 You will be prompted to choose DVD menu when the program finishes video conversion process. You can customize your CD/DVD as you like. Such as name your CD/DVD in DVD Menu Tile, browse music file from your local computer for your DVD in Background Music, change your DVD's background image in Background Image and etc. Step 5: Insert DVD and start burning F4V to DVD. Insert a DVD media to the DVD burner, select recorder from the drop-down list, enter your desired Disc Label, and then click Burn button, then the program will begin to burn video from F4V to DVD. * The program supports burning multiple playable DVD formats including CD-R, CD-RW, DVD-RAM, DVD+R, DVD+RW, DVD+R Dual Layer, DVD-R, DVD-RW, DVD-R Dual Layer, random access writes, Blu-ray media, Blu-ray Rewritable media. * Note: If the inserted disc is not empty, you will be prompted to erase the disc. Click Yes, all data on the disc will be overwritten! After the program finish to burn video to DVD, it will pop up a DVD Burning Engine to congratulate you that your disc has been successfully burned. Click OK button, the drive automatically ejects the disc. Now your F4V video has been burned to DVD successfully.